Superb amenities in a pristine natural setting. Complementing Lely Resort Golf & Country Club’s trio of captivating golf layouts is an array of superb amenities, including our stunning Mediterranean-style clubhouses – each with its own unique charm and ambience; two expansive full-service practice facilities; and world-class private and group instruction taught by award-winning golf teaching professionals. Each of our beautiful clubhouses offers its own unique architectural design, décor and ambience, complemented by breathtaking panoramic vistas and impeccable service. The breathtaking 25,000 sq. ft. Mediterranean-inspired Flamingo/Mustang clubhouse serves as a welcoming focal point for dining, and hospitality; featuring lovely décor, comfortable furnishings, and some of the best casual dining in the area. Numerous windows afford stunning views of our spectacular golf courses, creating a memorable setting for relaxing after a round of golf or hosting unforgettable social gatherings. Curious about our amenities and world-class facilities? We’d love to show you around. Just fill out the form below and we’ll contact you to schedule a tour. The luxurious clubhouse at the private Classics Country Club is second to none, offering members and guests an unsurpassed assortment of amenities and breathtaking views of the championship course. The Classics members also enjoy the use of the club’s two Har-Tru clay tennis courts, and a full calendar of tournaments, leagues, and social play. Lessons for juniors and adults are also available, taught by USPTA-certified instructors. Sam Snead's Oak Grill & Tavern at Lely Resort is open to the public seven days a week and specializes in great food and quality service. With a unique and cozy atmosphere decorated with handpicked golf memorabilia that highlights the illustrious career of golfing legend Sam Snead, the tavern provides fresh entrées of Certified Angus Beef, chicken, and seafood – not to mention a wide variety of soups, salads, and fresh homemade desserts. For more information and current hours, visit their website at www.samsneadslely.com or call (239) 793-6623 for reservations. Lely’s team of experienced golf teaching professionals offers an extensive variety of golf instructional options for players of all abilities, including private and group lessons, junior clinics and ladies-only classes. Golfers can also take advantage of half-day and full-day golf schools, 9-hole playing lessons, mini schools, and state-of-the-art golf instructional tools such as video swing analysis. 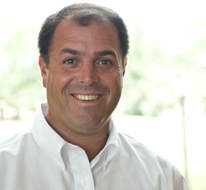 PGA teaching professional Charles Lostracco is an accomplished professional player and an experienced teacher. Before joining The Classics at Lely Resort as the Head Golf Professional, Lostracco played competitively on the Canadian and Nike Tours. Lely Resort Golf & Country Club features two expansive full-service golf practice facilities, the perfect locales for perfecting every aspect of your game in a serene natural environment. Come visit our 54,000 sq. ft. all-grass driving range, featuring seven unique target greens. Hone your short game at one of our two practice putting greens or chipping green complete with practice bunker. Range balls are complimentary for golfers who play our courses; otherwise, we offer a minimal charge for unlimited range balls.